Colocation America honors International Women’s Day by announcing the Top 5 Most Influential Women in the Data Center Industry. On March 8, 2012, International Women’s Day, Colocation America announced the Top 5 Most Influential Women in the Data Center Industry. After conducting research, the Colocation America team named Ginni Rometty President and Chief Executive Officer for IBM, Padmasree Warrior Senior Vice President Engineering /Chief Technology Officer for Cisco, Diane M. Bryant, Vice President and General Manager of the Datacenter and Connected Systems Group (DCSG) for Intel Corporation, Ellen Rubin, Founder and Vice President of Products for CloudSwitch Inc, and Amy E. Alving, Ph.D, Chief Technology Officer and Senior Vice President for Science Applications International Corporation (SAIC) as the most influential women in the data center industry. Throughout the day Colocation America received unpresented amount of views to their blog and website. Amounting to nearly 2500 visitors, Colocation America had a record setting day. With 90% of visits from new visitors, Colocation America was able to reach a new market: women. The article was written with intent to notify people around the world of the strides women have taken in IT related fields. It is without a doubt that the women listed above and overall women in technology made the blog go viral. Women and men throughout the world used social media to pass along the article to their friends and family members. 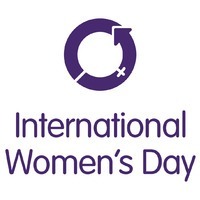 With over one-third of traffic originating from social media outlets, Colocation America and the women’s employers IBM, Cisco, Intel, CloudSwitch, and SAIC helped spread the word on International Women’s Day. Each year over thousands of events take place and articles are written in honor of International Women’s Day and Colocation America is just one organization that celebrated the day. Congratulations to the women who won and IBM, Cisco, Intel, CloudSwitch, and SAIC for helping spread the word! And huge thanks to the women in the technology industry and to the girls that will come after.